A. Kahn Design has finally outdone themselves with the most legit of all fabrics: Harris Tweed. A. Kahn Design&apos;s latest foray into Range Rover tuning includes the "champagne of fabrics," Harris Tweed. Woven by hand by the inhabitants of the Isles of Harris, Lewis, Uist and Barra in the Outer Hebrides of Scotland using local wool, Harris Tweed is one of the most traditional and rustic of fabrics. Oh, and there is an Act of (British) Parliament legislating what is considered &apos;Authentic&apos; Harris Tweed as well, further increasing the virgin wool&apos;s value. Worked into the seats of the fittingly-named Harris Tweed Edition Range Rover, the storm black pearl finished SUV boasts a level of luxury not seen before on any of Kahn&apos;s projects. Some might argue that the British tuning firm&apos;s Range Rovers have become a bit redundant, but this one in particular stands out from the rest. The British firm has added an aerodynamic body kit, complete with a redesigned grille, front bumper with integrated LED daytime running lights and a rear bumper with an integrated diffuser, side skirts (with illuminated door sills), gold-finished brake calipers and new door handles. It sits on a set of matte pearl gray 22-inch Kahn RS wheels. The Harris Tweed interior package features a 24-piece interior wood trim finished in black and billet steel, time clock with a Swarovski diamond bezel, machined aluminum foot pedals and black soft leather with Harris Tweed inserts. 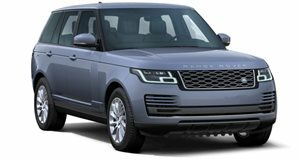 The Range Rover Harris Tweed Edition by A. Kahn Design prices at £88,875 and features £50,000 of Harris Tweed extras alone.